"Not because they are easy… but because they are hard!!" Get ready! First Man is landing in theaters soon. Universal has released a third official trailer for Damien Chazelle's First Man, an intimate look at the life of astronaut Neil Armstrong leading up to his voyage on Apollo 11 and his first steps on the Moon in July of 1969. The film just played to rave reviews at the Venice, Telluride, and Toronto Film Festivals this year (my full review). Ryan Gosling stars as Armstrong, and the full cast includes Claire Foy as his wife Janet, with Pablo Schreiber, Kyle Chandler, Ciarán Hinds, Ethan Embry, Jason Clarke, Brian d'Arcy James, Corey Stoll, Christopher Abbott, Patrick Fugit, Shea Whigham, and Lukas Haas. This is pretty much a perfect trailer for First Man, with the JFK speech and everything, but I feel like it's showing a bit too much. I recommend going out to the theater as soon as possible and experiencing this in all its glory. You can still watch the first teaser trailer for Damien Chazelle's First Man here, or the second trailer here. A look at the life of the astronaut, Neil Armstrong (Ryan Gosling), and the legendary space mission that led him to become the first man to walk on the Moon on July 20th, 1969. 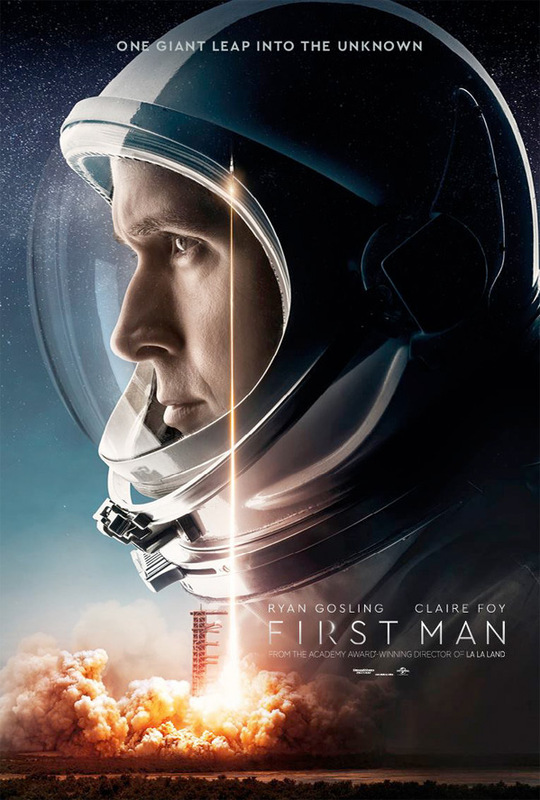 First Man is both written and directed by Oscar-winning American filmmaker Damien Chazelle, director of the films Guy and Madeline on a Park Bench, Whiplash, and La La Land previously. The screenplay is written by Josh Singer (The Fifth Estate, Spotlight, The Post), based on an earlier screenplay by Nicole Perlman. Adapted from James R. Hansen's book "First Man: The Life of Neil A. Armstrong". This film is expected to premiere at a few film festivals in the fall first - stay tuned. Universal will then release Damien Chazelle's First Man in theaters everywhere starting October 12th just next month. Who's going to watch this in theaters? All systems go?